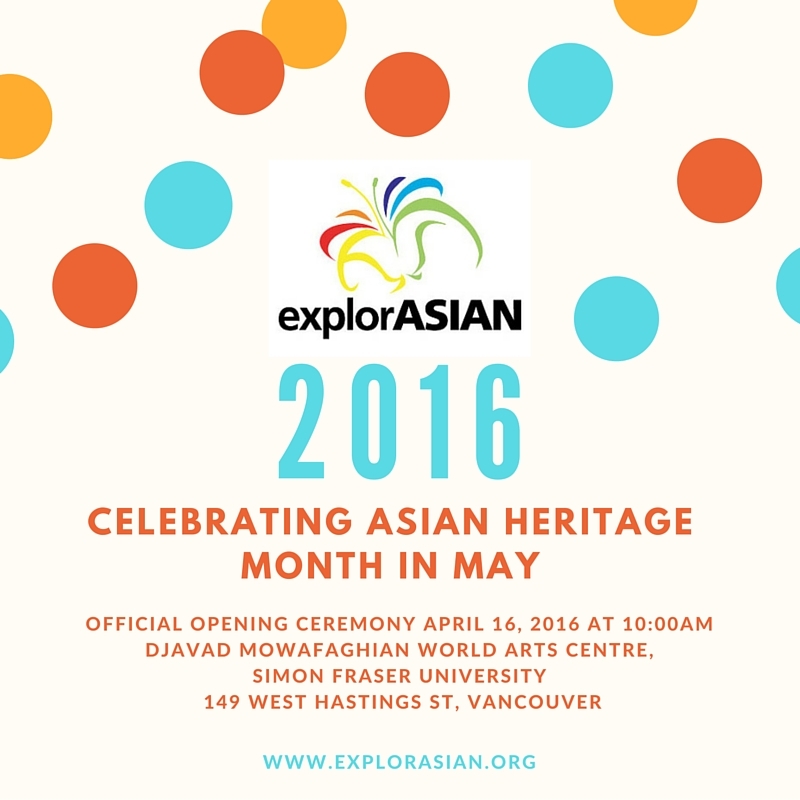 explorASIAN 2016’s Official Opening Ceremony took place Saturday, April 16th at 10:00am at the Djavad Mowafaghian World Art Centre at Simon Fraser University (149 West Hastings Street, Vancouver). 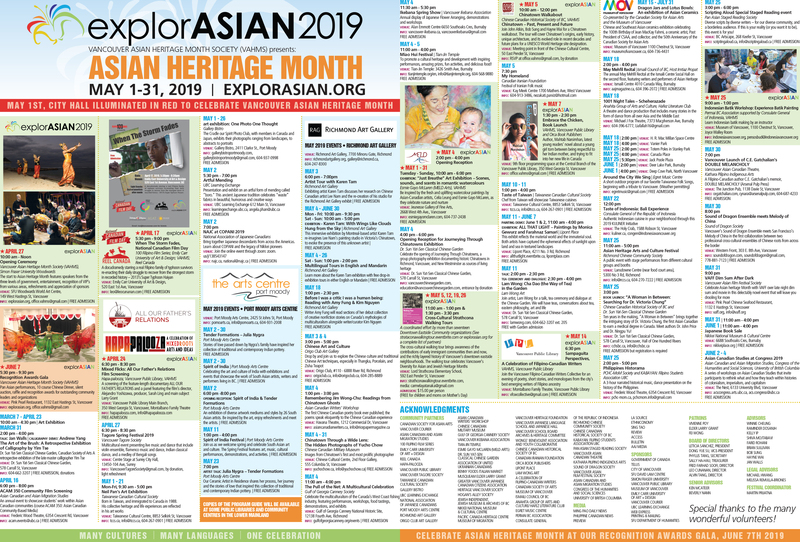 explorASIAN‘s 2016 Festival Program is available for viewing below. Thanks to the Vancouver Courier for their excellent work! It is a pleasure once again to thank the Courier for this excellent production of our program for explorASIAN 2016. We urge everyone to attend our Opening on April 16, 10:00 am at SFU Vancouver, many of the events shown throughout this program and our Recognition Gala on June 11, 5:30 pm at Nikkei Place in Burnaby.